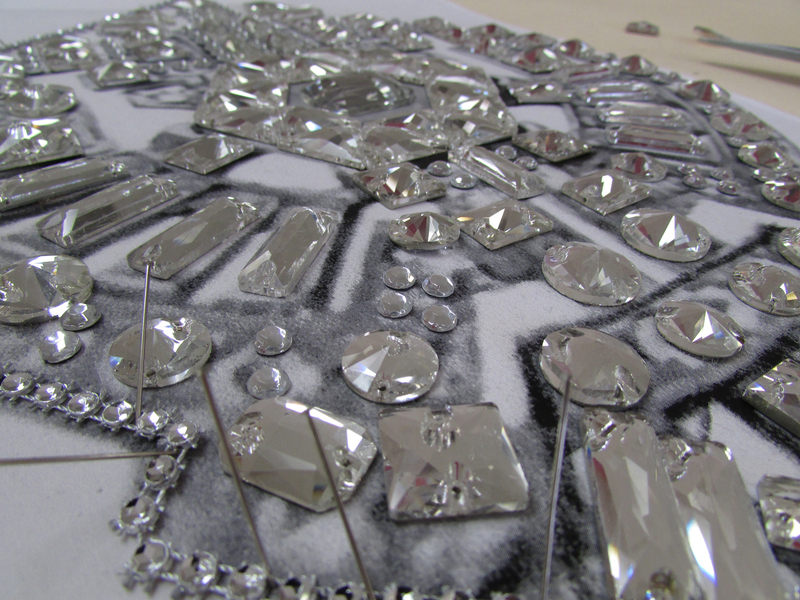 The Bob Mackie mentor team is in the process of creating our garments from muslin, as well as creating perfect patterns for all the stones we will be placing on our garments. 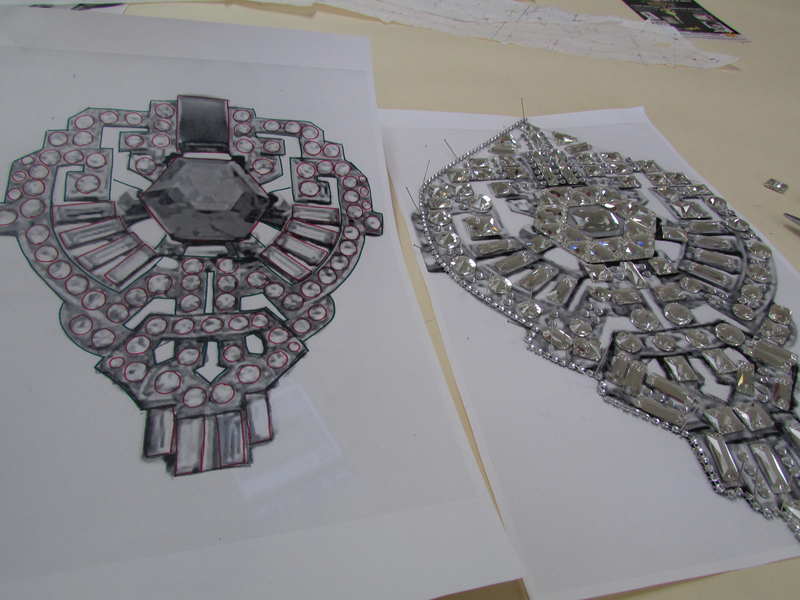 For my design with my partner Sarah Cioffi, we decided to take photos of Art Deco jewelry we were inspried by and use that as a template for placement. Here are some images of our process.